Metallic Epoxy Flooring is the most exciting technology breakthrough in the concrete flooring industry in years. There is no other system that has the appeal, depth, luster and three dimensional visual effect as Metallic Epoxy. Metallic Epoxy helps create a unique one-of-a-kind look and brilliant finish to any concrete surface. Customers seeking an exceptional look for their floor will be captivated by the ability of Metallic Epoxy to transform any area into one of distinction. 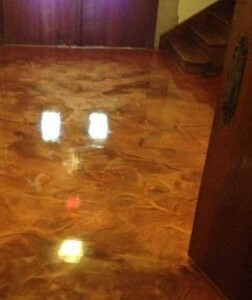 Metallic Epoxy is the most luxurious concrete coatings available today. Originally designed for the Casino Industry where appearance and durability is priority, these floors are now available to all commercial and residential customers. Not only are Metallic Epoxy Floors beautiful and versatile, they are seamless, highly durable and environmentally friendly flooring option for commercial and residential applications. The appearance of Metallic Flooring can be enhanced by several application methods creating a floor that can never be duplicated. Why Wait? Contact Us Today for a Free Estimate! Are you wondering what it will take to transform your concrete floors? Contact us today! 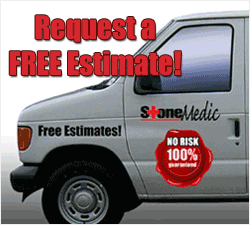 Give us a call at 813-818-7555 / 727-530-3555 or just click here to request your Free Estimate. We are new to social media but we invite you to join us! We'll be using our accounts to post pictures of jobs, features client testimonials and offer discounts. Follow the links and connect with us! © Copyright 2016-18. All Rights Reserved. ClickFirst.